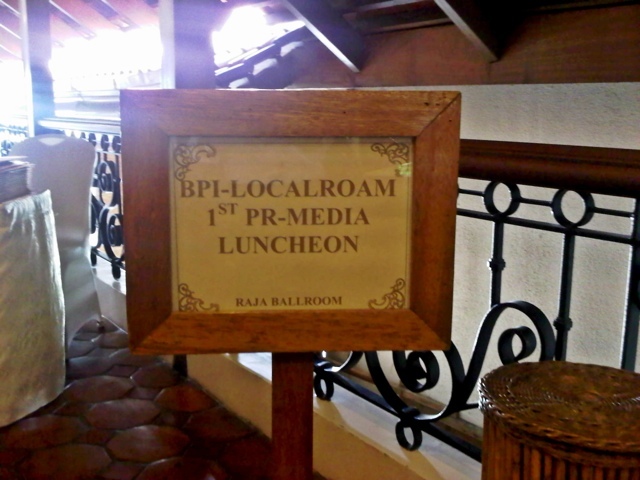 Last Tuesday, me and my husband were invited to a very intimate launch of a new “Buying Cooperative” company called LOCALROAM at the Raja Ballroom of The Legend Villas. Localroam is a unique way to “shop, save and share”. It offers prepaid vouchers with huge discounts on products and services that range from travel packages to health and wellness treatments. The Philippine’s first Buying Coop concept and perhaps also the first of its kind in the world. These prepaid offers are always available. So, you only buy what you need, when you need it. Payments for these prepaid vouchers may be conveniently made through BPI Express Online 24/7 and for BPI Bills Payment customers (over-the-counter service). In this day and age wherein online shopping has started to become a common thing in every household especially with individuals who have credit cards on hand, we know very well the temptation of “plastic” which draws us to go on shopping sprees via group buying sites and, more often than not, ending up in deep debt. Not with LOCALROAM! 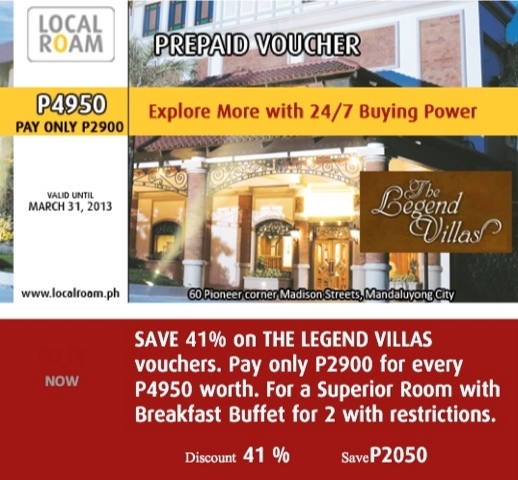 For someone who loves to travel (like me), these hotel promos will give me more bang for my buck! 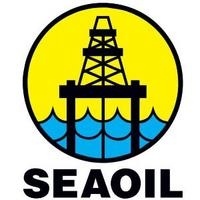 Seaoil, will be offering prepaid discounted vouchers that automatically gives buyers 5% off on Seaoil gasoline products for a minimum purchase of P1,500. 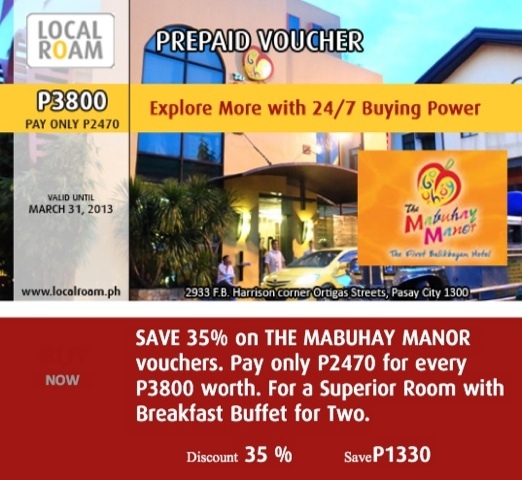 Vouchers are available in P500 denominations through Localroam. Aimed at helping motorists counter the rising fuel costs, 45 Seaoil stations in Metro Manila are participating in the offer. Localroam will slowly be increasing their number of merchant partners soon. So, watch for it!